I know the blog has been very quiet lately but recent events have really knocked the wind out of my sails and I haven’t felt like writing about anything.Work goes on.Life goes one but there is a big void where Karma used to be and I miss my K9 companion so much I have started the hunt for a new dog. There is a local dog shop here – and I use that term very lightly – that brings in German Shepherds ( GSD ) ,Rottweilers, Labs and other breeds. Chris got his GSD Coco there for the massive tag of $250 and she is actually turning into a very nice dog with plenty of training and looking after by Chris and family. Hanging out with Coco is one part lovely and one part very very painful as she is very similar in nature to Karma with her demeanor and markings and also has the shorter black and tan hair. However the last two GSD litters Mr Puppy Mill bought in from Thailand I think might have been crossed over the Thai Bangkaew as whilst they had the face of a GSD, they had suspiciously overly fluffy coats and that would just be a nightmare here. I actually prefer the working lines of GSDs and these predominantly come out of Eastern Europe countries like the Czech Republic. These are the dogs that the military and other services use and they are a wholly different dog to the show line. Google google google and then I find a chap called Russell Russell ( I know right ? ) 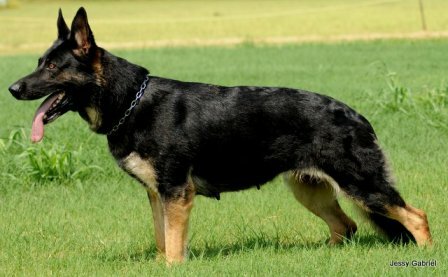 in Thailand who runs a dog training school in Thailand and I notice he has a gorgeous pure black GSD on his website so I call him and we have a chat and he was very helpful, giving me the name of his breeder in Texas,Vanmeerhout who produce the most stunning GSDs I have ever seen. I have sent them an email but I know that the price is going to be too high with freight and I don’t know that I am overly keen to put a dog on a plane for hours and hours and hours.Damn they breed nice dogs though. Then….he also gives me the contact details for a Dutchman based just outside Bangkok called Bert who owns http://www.siamcrowndog.com/. Bert specialises in the tough-as-nails Belgian Malinois. The malinois is fast taking over from the GSD as the services dog of choice due to its stamina,rock solid temperament and its excellence at protection,drug and explosive detection, search and rescue etc. The dog is used extensively by Unit Oketz of the Israel Defense Forces. 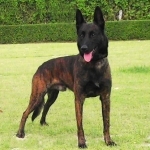 Oketz favors the slighter build of the Malinois over that of the GSDs and Rottweiler as they are the perfect size to be picked up by their handlers, while still being able to attack their enemies and their shorter coats and fair and neutral colors making them less prone to heatstroke. 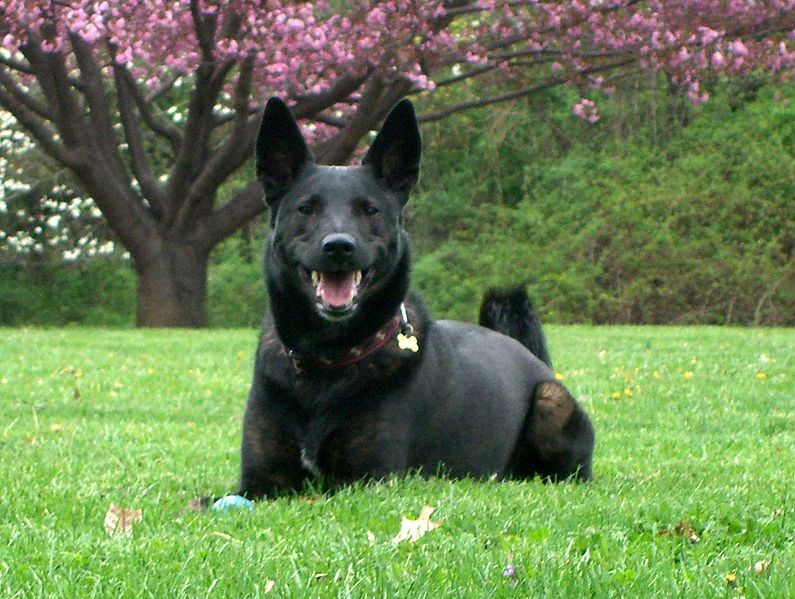 Bert also raises a breed I was not au fait with – the Dutch Shepherd . Once again, the short-haired Dutch Shepherd is used extensively throughout Europe and the United States as a working dog, primarily in police service, including search and rescue. 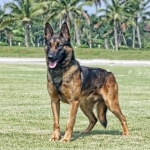 Dutch Shepherds and similar sized working breeds such as the Belgian Malinois and are increasingly popular with police agencies because the Dutch Shepherd breed has not been subject to extensive breeding as has the German Shepherd. This can adversely affect the health and temperament of the individual dog as well as the breed. 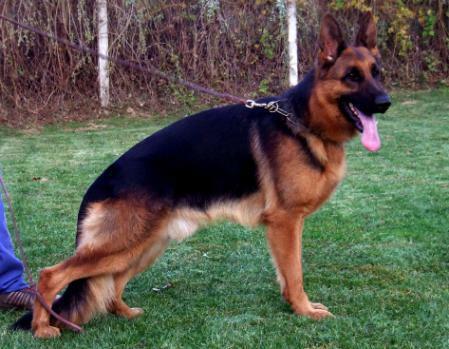 For example the preference for the German Shepherd’s sloping back ( American Show Lines ) has resultedin a 19.1% incidence of hip dysplasia compared to a 6.2% incidence found among the Dutch Shepherds. 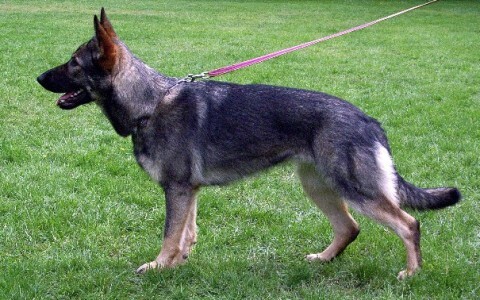 The list of things I want from my next GSD dog ( apart from #1 being ; JUST LIKE KARMA ! ) include short hair ( for climate ) and a straight backed, string working line style dog so seeing Bert’s Malinois and Dutch Shepherds got me very excited indeed. I had been considering the Malinois of course as but the Dutchies…..HUBBA HUBBA. They are just insane looking dogs and they have super high drive levels which means you can train them to do just about anything. 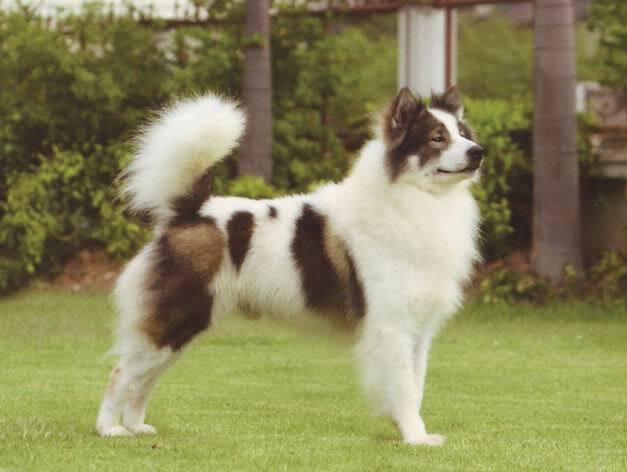 I really think wither of thee two breeds are perfect for the heat of Cambodia and lets face it, they are all members of the same family. SiamCrown's Durtch Shepherd "Blue Van Pionershof"
SiamCrown's Belgian Malinois " LobbesVan de Vroomshoeve"
Now,looking at the above dogs and hearing who is using them,you would think I am after a hyper aggressive attack dog but anyone who knows these shepherd family of dogs knows that whilst you can certainly train these dogs to be machines….they also make the world’s best family dog. I miss training a dog and I miss the devotion they show and the desire they have to please their owner. I miss being shadowed everywhere I go ( a well known shepherd trait ) and I miss the paws on me while I do up my laces and the head on my lap when I am stressed out. I miss the walks, the swims, the car rides and having a dog at my feet when I read or relax. I miss Karma like hell and whilst there will never be another dog like her….there will be another one sooner or later so stay tuned and Merry Woof Woof. Good luck to you mate , I’m sure you will find a corker of a dog and give it a great home. That dog is a b-e-a-s-t BEAST! My kind of dog. And the ones I have lay around the house all day until it’s time to work, I mean play.